A while back I began to explore hdr (high dynamic range) photography. Rather than bore you with the details of what HDR is, I’ll just show you what I did yesterday. 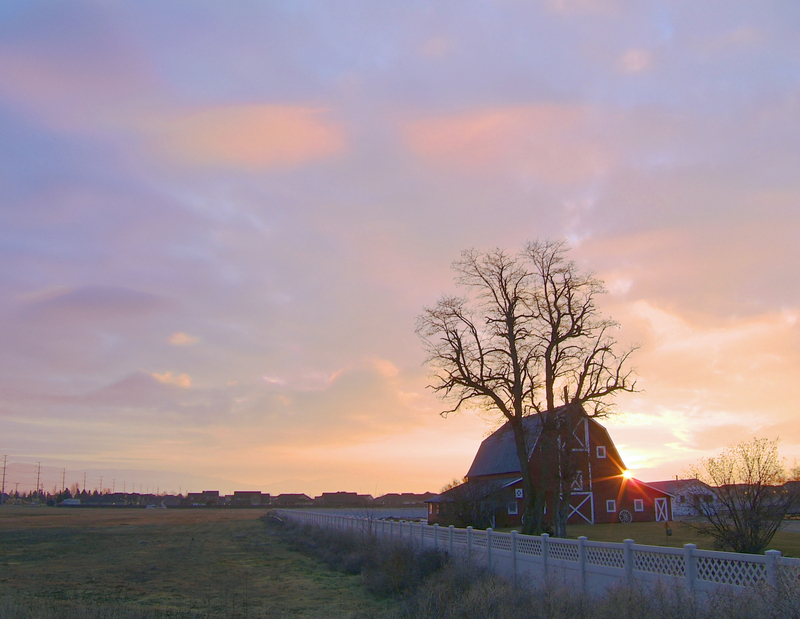 In the shot on the left, the sky is totally over exposed, but the barn and foreground are ok, if a little under exposed. 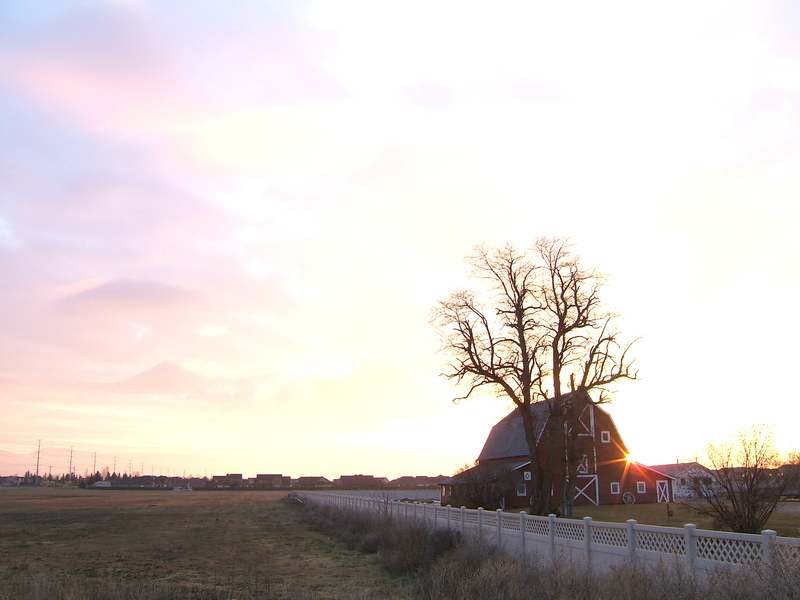 In the shot on the right, the sky is better, but the barn and foreground are so under exposed as to only be a silhouette. In this shot, the barn and foreground are still exposed well, and the sky is much more dramatic. 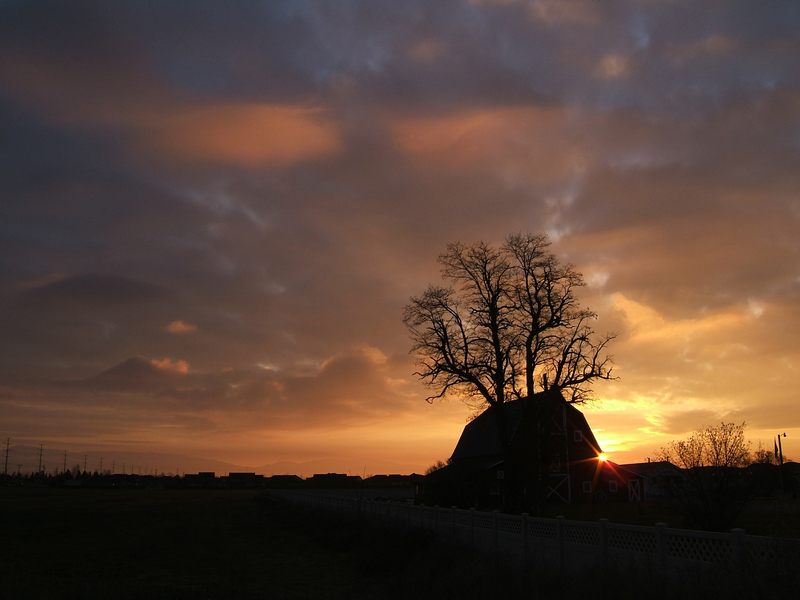 Sunrise on the farm – can you smell the bacon? Have you ever tried HDR photography? Shoot me a comment and share your results! « Help Me Re-Name My Latest App! Wow, nice!! How do you like PSE8? I’ve been working with PSE4 and I’m getting tired of the random crashing, amongst other things. PSE8 is pretty similar to the prior version (I think Elements 6?) – but I’m not all that familiar with Elements 4, so I can’t comment on the differences. I do find Elements 8 to be capable enough for my needs, though. Thanks for the feedback; once I finish my current PSE project, I’m going to check out the version 8!